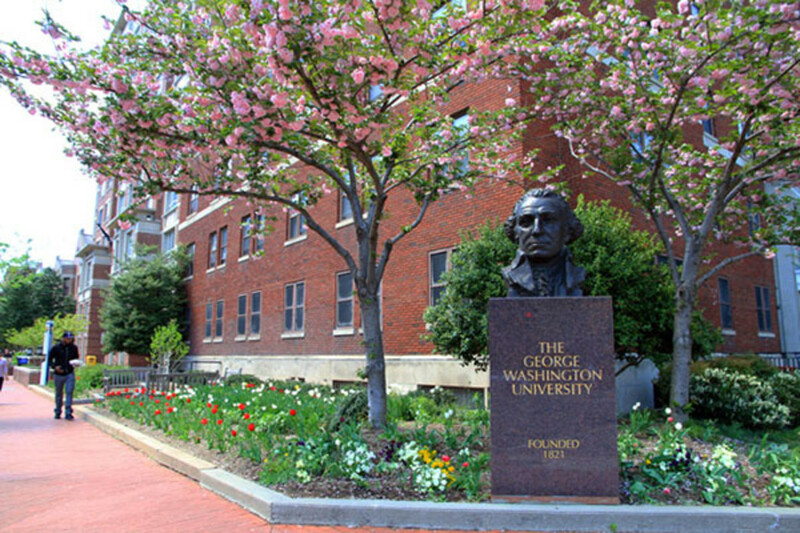 George Washington University—which got in trouble last year for misreporting admissions data to bolster its college ranking—is making yet another confession. The university has been misrepresenting its admissions and financial-aid policy for years, touting a "need-blind" admissions policy while in fact giving preference to wealthier students in the final stages of the admissions process, according to the student newspaper, the GW Hatchet, which first reported on the practice. Meanwhile, hundreds of academically comparable but needier students were put on the wait list for admission because they lacked the financial resources. Many colleges and universities like to tout "need-blind" admissions processes, or the practice of judging their applicants&apos; academic qualifications strictly on their merits and making decisions without factoring in applicants&apos; wealth. In recent years, some colleges that have traditionally been need-blind have weighed whether to become more need-aware. "It sounds better to people to say, ‘We&apos;re need-blind.&apos; People think that&apos;s a badge of courage," said Matt Malatesta, vice president for admissions, financial aid, and enrollment at Union College. The updated page now explains that the admissions committee "evaluates" candidates initially without factoring in their financial need, but then considers applicants&apos; financial resources "at the point of finalizing admissions decisions." "I believe using the phrase ‘need aware&apos; better represents the totality of our practices than using the phrase ‘need blind,&apos;" Laurie Koehler, senior associate provost for enrollment management, said in a statement to ProPublica. "What we are trying to do is increase the transparency of the admissions process," said Koehler. Top GW administrators have repeatedly stated over the years that the university is need-blind. When the student newspaper in 2011 did a story about how some colleges are moving away from need-blind admissions, one administrator told the paper, "We&apos;re still need-blind." It&apos;s worth noting that the "need-blind" label can be as much about marketing as it is about giving all applicants a fair shot. Many schools are "need-blind" but don&apos;t actually give out much need-based aid. We recently detailed how universities, looking to boost their bottom lines, are increasingly using financial-aid dollars to attract wealthier students. "It sounds better to people to say, ‘We&apos;re need-blind.&apos; People think that&apos;s a badge of courage," said Matt Malatesta, vice president for admissions, financial aid, and enrollment at Union College, a small liberal arts college in New York that practices need-aware admissions. Unless schools pony up the aid dollars to meet students&apos; financial needs, touting the need-blind label isn&apos;t particularly meaningful for students, who may simply get the offer of admission along with an offer to take on unsustainable debt. "There are pluses and minuses on both sides of the debate," Malatesta said in an earlier interview. "I&apos;m not a believer that one is better than another." But in contrast to GW, many of the schools that have weighed the pluses and minuses of need-blind versus need-aware have done so quite publicly. 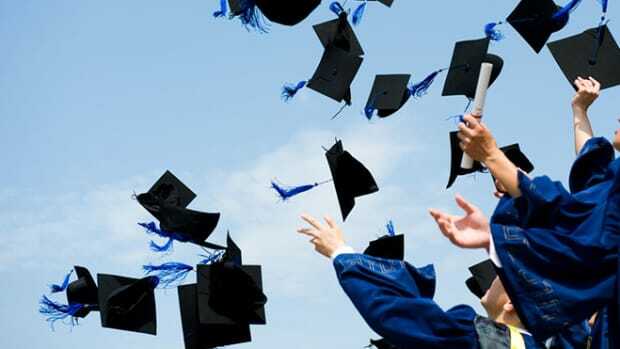 Grinnell College, for instance, announced earlier this year that after considering whether to become need-aware, it would remain need-blind for the time being—but would still look to wealthier students in the recruitment process and use merit aid to help attract them. 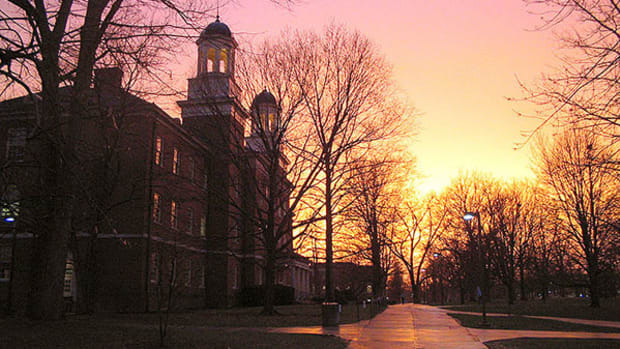 Wesleyan University last year took the other route, announcing it would give up the "need-blind" label and start to consider students&apos; financial need once its aid dollars were given out. Both institutions are part of a handful of colleges across the country that promise to meet the full needs of all admitted students. George Washington University has not offered any such guarantee. Earlier this year, George Washington University was featured in the Washington Post as trying to buck its "rich-kid reputation." "I&apos;m not going to deny we have a lot of students that come from wealthy families," GW President Steven Knapp told the Post in April. "But we are increasingly trying to diversify, and I think we have been diversifying compared to where we were 10 years ago." 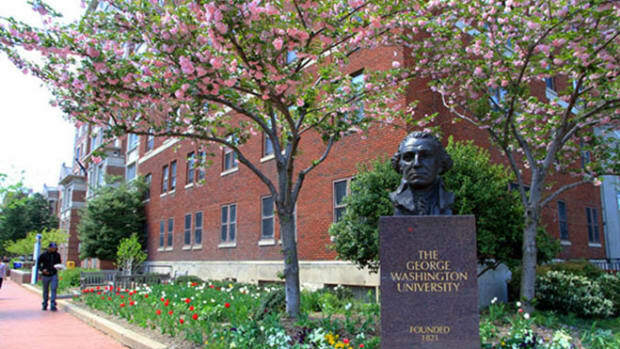 About 13 percent of undergraduates at George Washington University receive the federal Pell grant for low-income students. 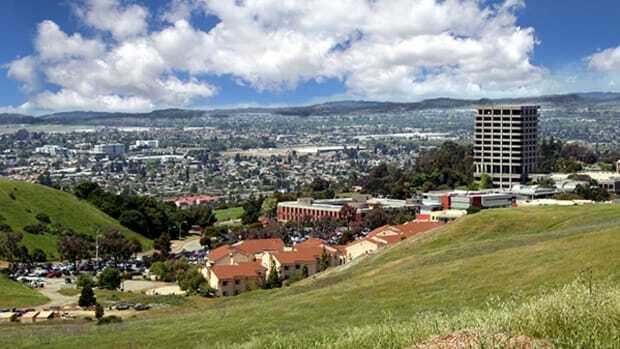 That&apos;s low, according to a recent report by the New America Foundation that also noted that the university charges its few low-income students, on average, a high net price even after grants and scholarships. 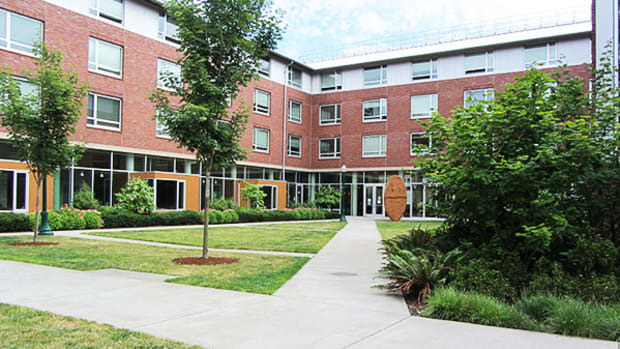 Tuition alone is more than $47,000 a year, and room and board costs another $11,000. The majority of students at the university pay less than the full sticker price, due to the university&apos;s strategy of offering grants as discounts. But even after grants are applied, low-income students at GW still pay a heavy price. Federal data for the 2011-2012 school year show that students at the university coming from families making $30,000 or less paid, on average, $21,000 to attend the university.